An essay by former Laney student Aaron James Price was published on the Oakland Post on July 27. In “Against All Odds: From Homeless Veteran To Acceptance at UC Berkeley,” Price details his experience as a student attending Laney College and the extraordinary things he was able to accomplish thanks to the support he received from campus faculty and staff. Before attending Laney, Price was determined to overcome many difficulties, including homelessness, addiction, and incarceration. He began his education at Laney in 2014 and quickly became a star student on campus — earning good grades and being a role model to others. 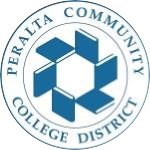 Price was honored with several awards, including the Laney College President’s Medallion and the Peralta Chancellor’s Trophy in the Spring 2017. He will be starting his first semester at UC Berkeley in August. To read his essay, click here. 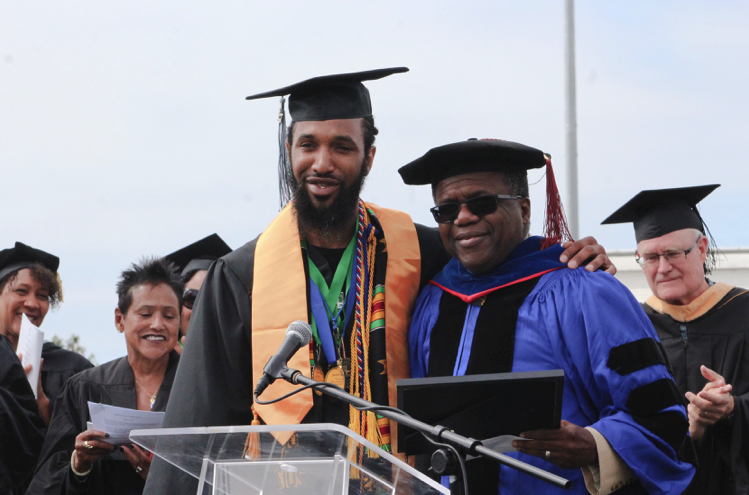 Aaron James Price along with Dr. Jowel C. Laguerre receiving the Chancellor’s Trophy at the Laney College Spring Commencement Ceremony on May 27, 2017.